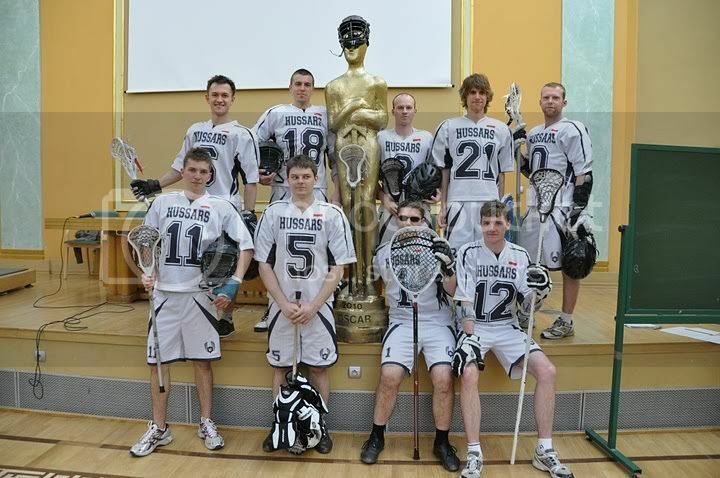 Another LipDub with Hussars players! The next Poznań university that decided to create a LipDub video was the University of Economics. As some of us graduated this university we decided to take part in it. The main theme was about receiving prestigious awards. A group of students decided to make their own clip and to win the first prize. And then the show begins: VIP party, lab experiments or a beach are only some of the things you can see in this clip. Thanks to us there is also a lacrosse scene. In the video we are running upstairs straight to the main hall and with other crazy participants we witness an awards ceremony where the ‘stars’ receive a golden statue.